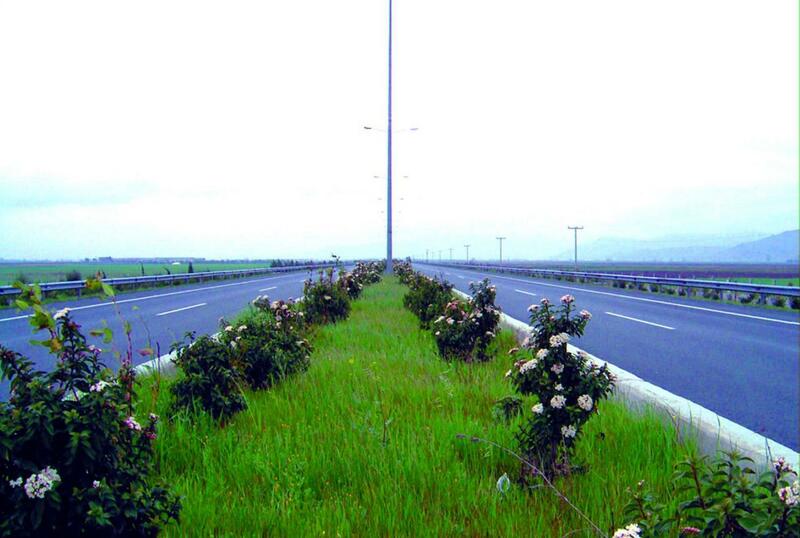 The project lies along part of the Patras - Athens - Thessalonica - Evzoni highway (Almiros - Evangelismos section, - 92 km). It involves the planting, irrigation and maintenance of the motorway's New Jersey type central reservation, horizontal lateral hard shoulder lanes, bank and trench slopes of the interchange and parking areas. The densely planted areas are irrigated and maintained through state-of-the-art irrigation control system (scada), pump stations and drilling equipment.